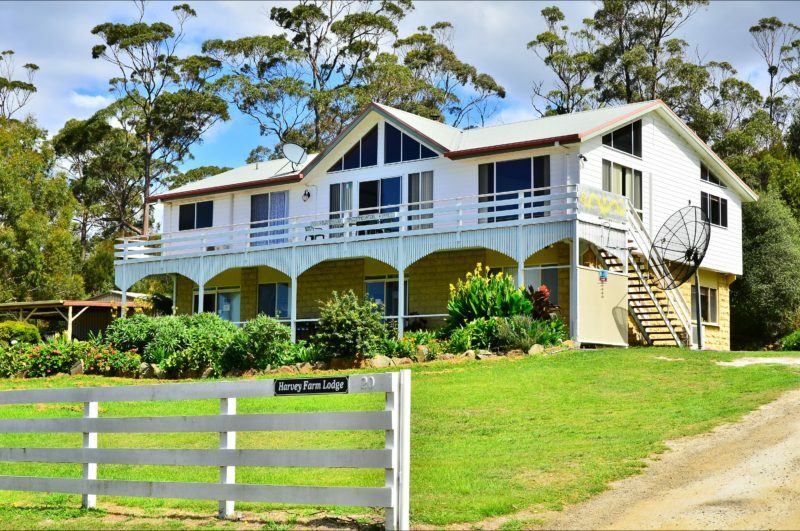 Harvey Farm Lodge offers deluxe accommodation in the small fishing village of Bicheno, Tasmania. 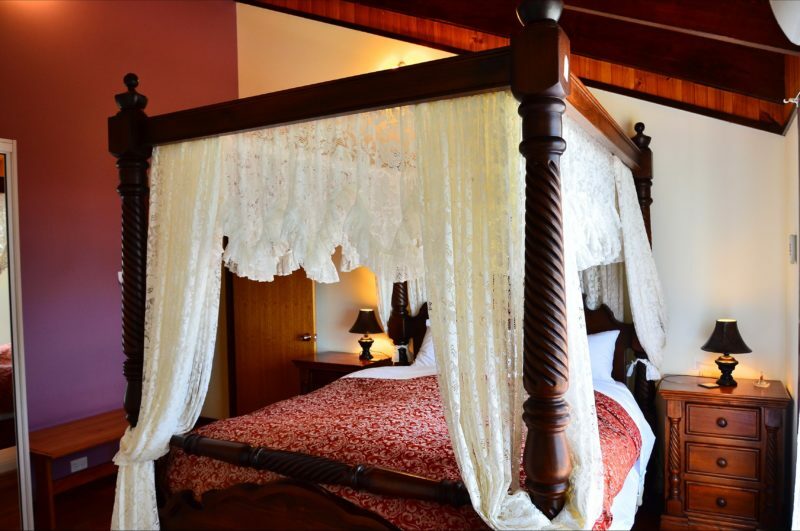 The Deluxe Apartment has spectacular ocean views, four bedrooms with queen beds, two with ensuite, one bunk bed. Separate toilets and showers, total 3 x toilet and 3 x shower. large lounge and dining areas as well as a fully-equipped kitchen. The Deluxe Apartment can accommodate up to ten people. 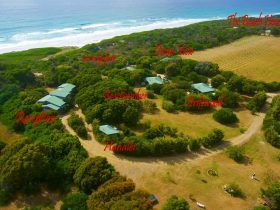 Unit one is on the ground floor, has ocean views and offers three bedrooms with three queen size beds, one bunk beds, and sofa bed .three toilets and showers. 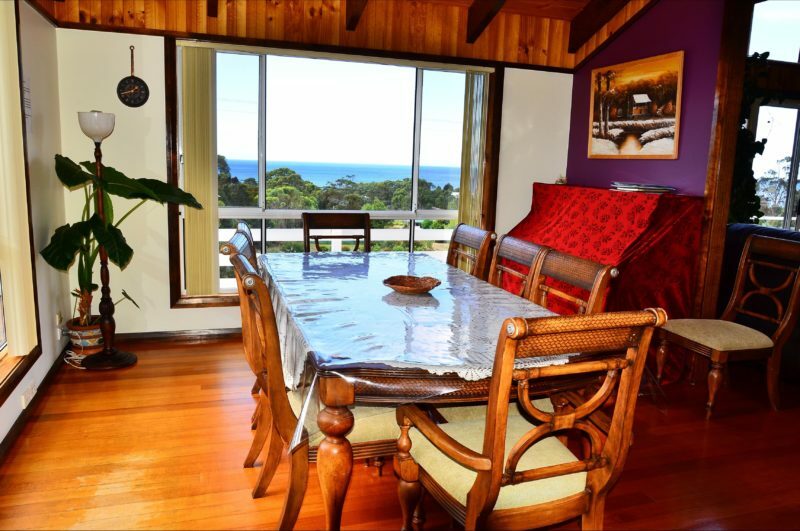 The unit is fully self contained and provides a large lounge and dining room. Unit One accommodates ten people. Unit two is ground floor, has one bedroom with queen size bed, living area, shower and bath. It accommodates two people. Wander down to nearby Bicheno shops, cafes, art galleries, and fairy penguin tours. 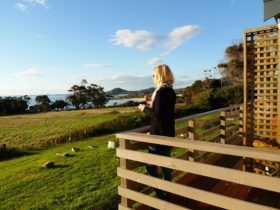 Take a day trip to Freycinet National Park and marvel at Wineglass Bay or visit some of the local award-winning wineries. 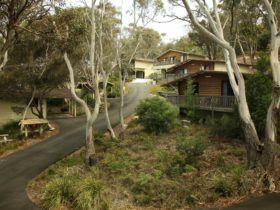 Ideally located close to Freycinet and Douglas Apsley National Parks, Bicheno is just over a two-hour drive from Launceston (174 kilometres). 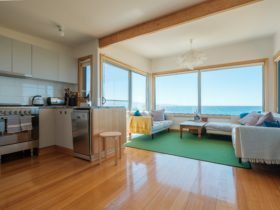 The Deluxe apartment has spectacular ocean views, four bedrooms with queens size beds, one bunk bed, three toilets and showers, large lounge and dining areas as well as a fully-equipped kitchen. Can accommodate up to ten people. 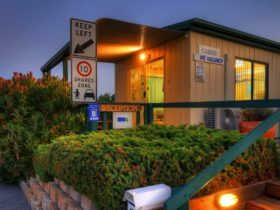 Unit one is on the ground floor, has ocean views and offers three bedrooms with three queen size beds, two bunk beds, and three toilets and showers. 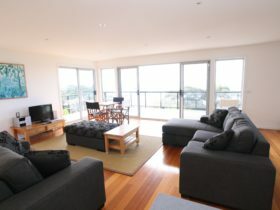 The unit is fully self contained and provides a large lounge and dining room. Accommodates ten people. Unit two is ground floor, has one bedroom with queen-size bed, living area, shower and bath. Accommodates two people.